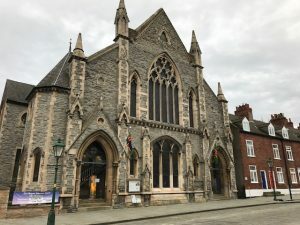 Located in the Cathedral Quarter of Lincoln, Bailgate Methodist Church is a growing, family-friendly and busy church. There are two Sunday services – the main 10.30am service (during which our children enjoy their own supervised church) and the smaller and more reflective 6pm service. Our increasingly busy weekday cafe, ‘The Well’, is open to serve our community and visitors to our historic City Centre with free refreshments and practical help where possible, and to ‘be Jesus’ to those who come in.